The Huawei MediaPad M5 series might get software updates to Android 9.0 Pie soon. That is what a recent leak might suggest. Update: That happened indeed. Huawei did release Android 9.0 Pie for their MediaPad M5 lineup already. It seems like Huawei is planning to release an update to Android 9.0 Pie for the MediaPad M5 series. While the Chinese manufacturer did not confirm this yet, the 8-inch version of this tablet running Android 9.0 showed up in a benchmark database. That could mean that Huawei is testing the newest version of Google’s operating system on that tablet right now. However, I don’t think we would see an update until early 2019 the earliest. As you can see in the screenshot below, somebody ran the Geekbench benchmark on a Huawei MediaPad M5 8 running Android 9.0 Pie. Sadly, as of now, we don’t have any additional information. However, we do know that Huawei is also testing Android 9 on several of their flagship smartphones. In the past, Huawei has been very disappointing regarding updates. Usually, they don’t release any at all for their tablets. And if they do, they update it once but not twice. 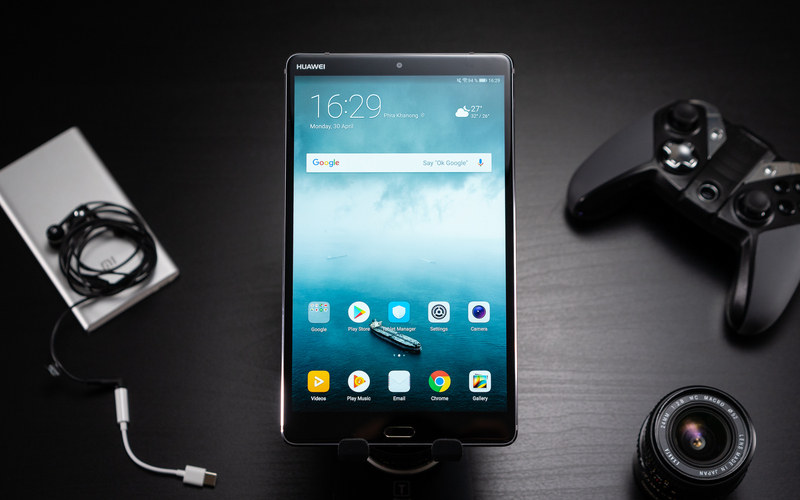 Huawei released five very interesting and competitive tablets this year. The MediaPad M5 8 (review) and MediaPad M5 10 (review) are very fast, offer tons of premium-features, and are a great value. If Huawei is going to update these, that would be great. Until now, Samsung is among some very few brands that are updating their tablets frequently. It would be nice to see Huawei among those. I don’t think that the Huawei MediaPad M5 Lite 10 and MediaPad T5 10 will receive Android 9 too. Sure, I hope to be wrong, but usually, tablets that cost under 300 US Dollars don’t get any updates at all. As of now, there is no tablet out there running Android 9.0 Oreo yet.